A battered old sycamore leans precariously over the North Fork of the Mills River at “Hellbender Hole,” a swimming hole for generations of the Brittain family. The stream’s clear water races through a chute where the tree’s roots grip the bank, like gnarled hands holding on against the relentless flow of water and time. Jere was born in 1935 in a two-story house that still stands across the river, the same house where his brother Jim was born in 1931 and their father Randall Francis Brittain was born in 1899. When Jim was five and Jere was six months old, the family moved their belongings, by horse and wagon, across a ford in the stream to a house their father built at the confluence of the Mills River’s north and south forks. 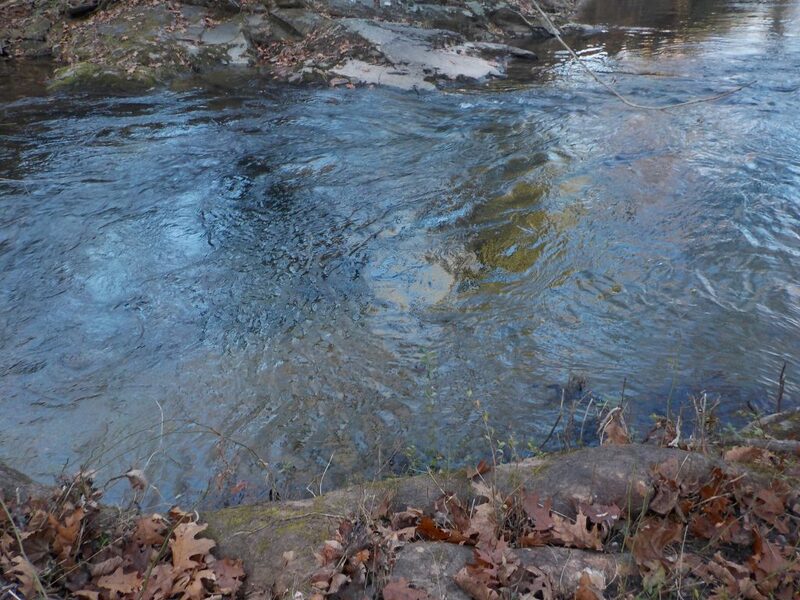 The swimming hole is named for a rare breed of giant aquatic salamander that state biologists have documented here. The Hellbender requires clean water, big rocks and undisturbed habitat, making it an “indicator species” of stream health. Last year, Jim Brittain donated 17.86 acres, from the swimming hole to the ridgeline several hundred feet above. The parcel is named The Randall Francis and Velma Gillespie Brittain Nature Preserve, in honor of his parents; the preserve will be used to study species, from the prehistoric looking Hellbender to the bears that wander the piney woods. 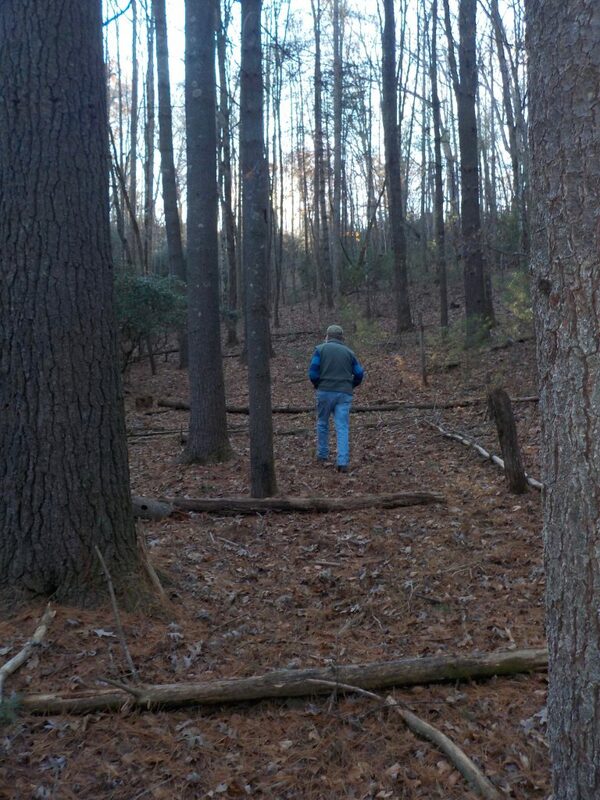 The Brittains are among landowners from across the region who have donated land or development rights to Conserving Carolina, formerly Carolina Mountain Land Conservancy and Pacolet Area Conservancy. The group has protected 42,476 acres over almost 30 years. The almost 18 acres above the confluence of the Mills River’s North and South Forks encompasses the entire watershed of a spring-fed creek. It was among 200 acres that North Carolina granted in November 1789 to David and Andrew Miller. According to Hendersonheritage.com, James Andrew Miller (1750-1808) was a mounted gunman with South Carolina troops serving with Francis Marion who fought at the Battle of Kings Mountain. He was one of the county’s first settlers after the war and a land speculator who owned property throughout the county. In the mid-1800s, the property was among lands acquired by James W. Bryson and his brother-in-law, Francis Marion (Frank) Brittain. Frank Brittain and his wife Rachel (formerly a Bryson) later gave 71 acres of that land to their son, William A. Brittain. W.A. Brittain, Jim and Jere’s grandfather, worked to consolidate land previously owned by his father. Today Jim sees that fragmentation continuing. It’s one of the reasons he donated the land to Conserving Carolina with the stipulation that it be preserved in its natural state forever. The tract is among thousands of acres of farmland in Henderson and Transylvania counties that was threatened with being buried under flood control lakes the Tennessee Valley Authority planned about 40 years ago. Jere is credited with leading citizen opposition that halted TVA’s plans for 14 dams. 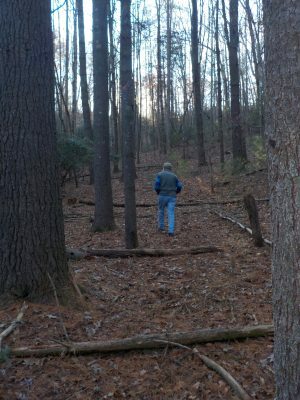 On a recent fall afternoon, Jere hiked the property with an alacrity that belied his eight decades. A retired Clemson University professor of horticulture and integrated pest management, he stopped to admire the enormous white pines that punctuate the forested slopes like towering exclamation marks announcing their age and grandeur. Jim also remembers helping their father plant the trees when the boys were teenagers. “I remember when he was planting, he took a one-horse cultivator and dug a little ditch and we went along behind and dropped the little seedlings,” he recalls. Like his brother, Jim was a college professor, retiring after 25 years from Georgia Tech, where he taught engineering history. 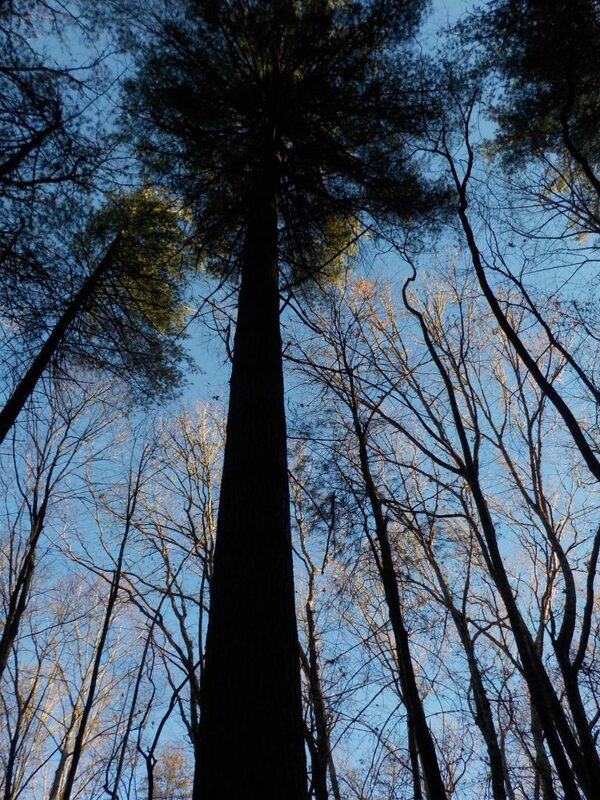 Today the tall trees march up the gentle slopes and gather like sentinels upon the ridge. “It would be a developer’s dream, wouldn’t it?” Jere says. Instead, the family envisions the property as a place where students and researchers can survey and study its myriad forms of life. A spring seeps beneath the carpet of leaves forming the small creek that gurgles down the cove to enter the North Fork just above the swimming hole. Both men remember how this spring provided running water to the “sawmill house” their father built above the confluence. Near the top of the ridge, newcomers have built a home within feet of the property line. But looking west toward the confluence, the land – both the nature preserve and adjoining properties owned by the Brittain family — remains undisturbed. From the ridgeline down to the family’s dwellings just above the confluence, the woods are thickly carpeted with soft pine needles. 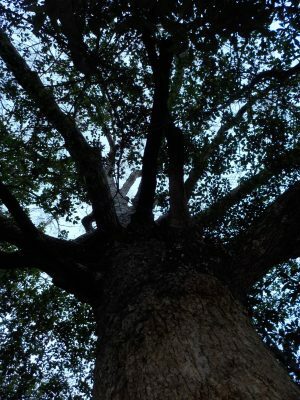 Huge old holly trees and a giant white oak—its immense trunk and stout branches reaching for the sky and all points of the compass— punctuate the dense pine woods. Emerging from the woods at the bottom of the hill, Jere looks out over the fields and forests at the confluence where two younger generations of his family reside. 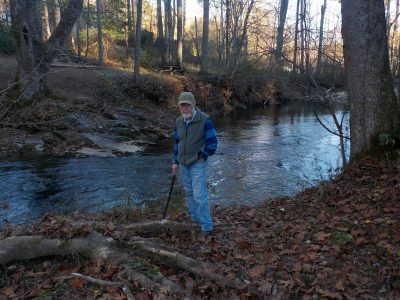 His sister, JoAn Shearin of Clemson, S.C., donated a conservation easement on a portion of her land here along the river. And about 15 years ago, Jere and his wife Joanne donated a conservation easement on almost 13 acres the family continues to use for agriculture. The spot holds special significance for their marriage and family. Conserving Carolina, formerly Carolina Mountain Land Conservancy and Pacolet Area Conservancy, protects and cares for more than 42,000 acres of lands that you love along the Blue Ridge Mountains, Foothills and Escarpment, Jocassee and Hickory Nut Gorges, and French Broad, North Pacolet and Green River Watersheds. With offices in Hendersonville and Columbus, N.C. — Conserving Carolina focuses on the thoughtful conservation of our mountains, waters, forests and farms. Harrison Metzger, an avid outdoorsman, is the guest author of this month’s column on behalf of Conserving Carolina.